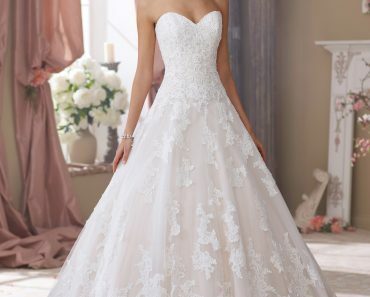 Elegantly Romantic Wedding Dresses For Men’s 2018. 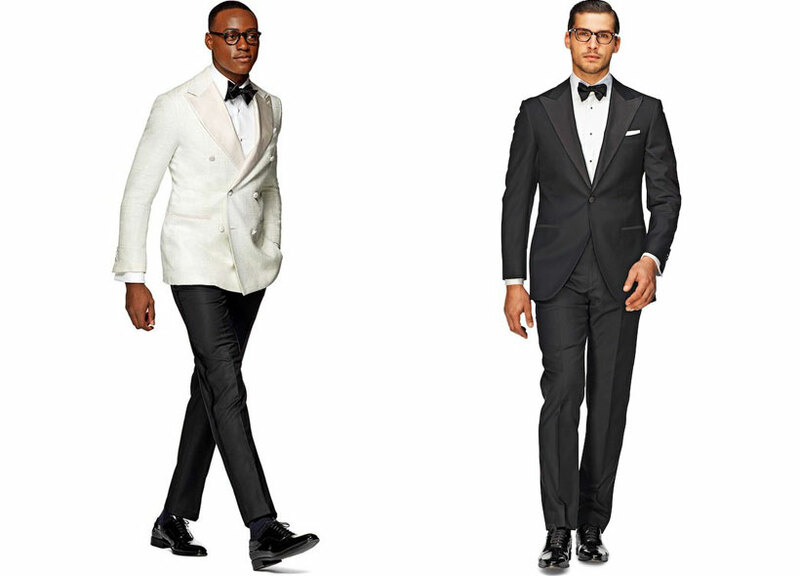 Whether you’re off to wedding in a glorious French chateau, an little English chapel or a summery garden ‘do, here’s a basic guide to all kinds of men’s wedding attire. It’s important to understand what the invite requests and not to go too over the top, nor too undercooked. It’s a fine art. Like making love. 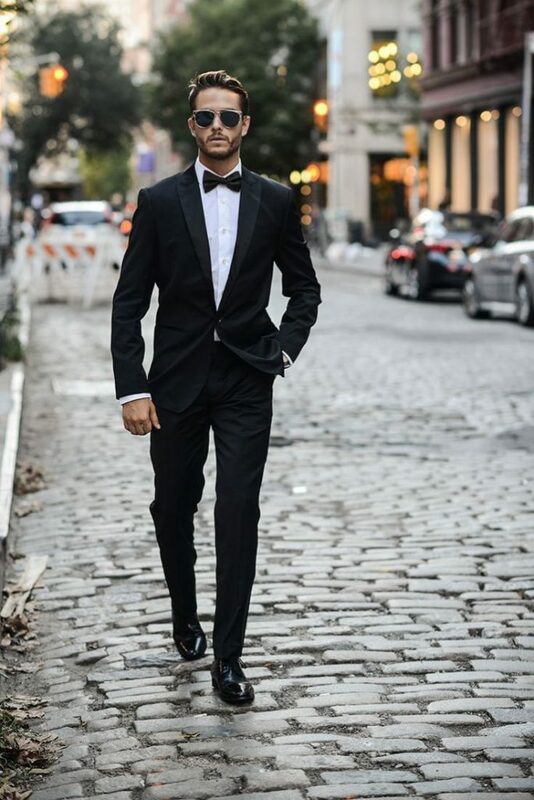 Follow these rules, and you’ll be looking on point (and adhering to the dress code) without upstaging the groom or drawing attention away from the blushing bride. 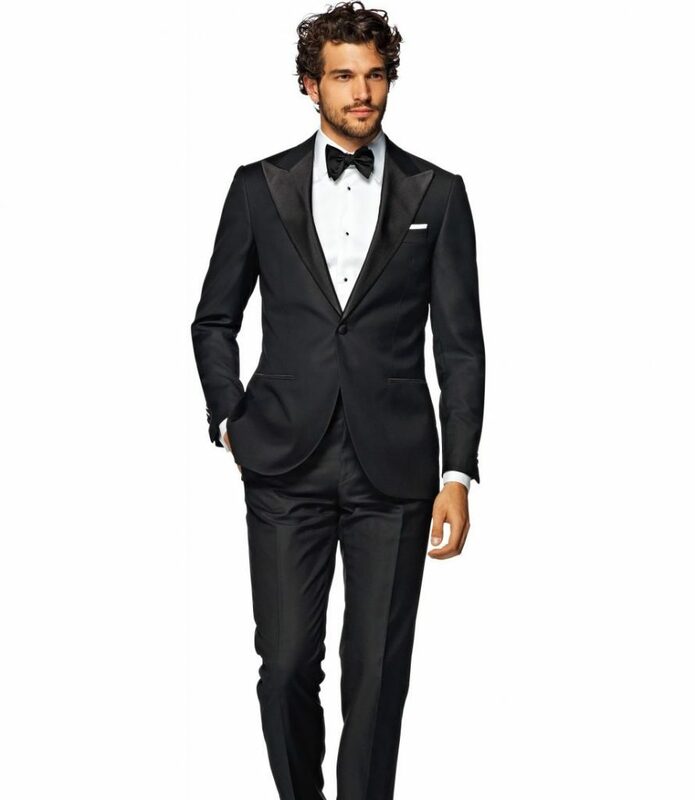 Jacket: The standard tuxedo involves a black dinner jacket, made from high quality medium-weight wool. The jacket will come in a peak or shawl lapel, no vents, with a satin or grosgrain finish, adding a subtle sheen contrast to the matte jacket. Midnight blue is a nice alternative, while bolder colours and on-beat prints can be added into the mix especially with material variations such as velvet. Always balance the bold jacket with a black trouser. Trousers: Traditionally, trousers have a grosgrain stripe down the leg outseam to match the lapels. Avoid belt loops on your trousers and opt for a flat front style, sat high on the waist. Shirt: The shirt front can be plain for a cleaner look, pleated if you want something more fancy, or made from a classic Marcella fabric for a textured touch that won’t overpower your look. As a base rule, turn down collars are better for black tie in modern times, unless it’s super formal. Finally, buttons can either be concealed (a fly front) or on show (a French placket). Shoes: There’s not much leeway on shoe colour for black tie – black is best. For the purists, pumps with a satin or silk bow on top are the classic shoe, but are quite rare these days. Instead, opt for black leather lace-ups (patent, for a statement sheen). 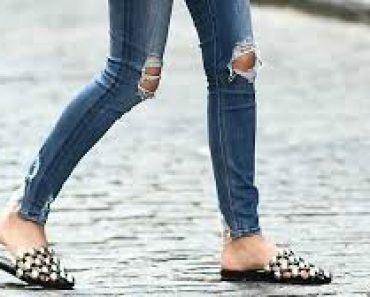 Simplicity is key here, so avoid brogue punch holes and leather shoe trends like contrast soles and chunky heels. Wearing velvet? Go velvet slippers. 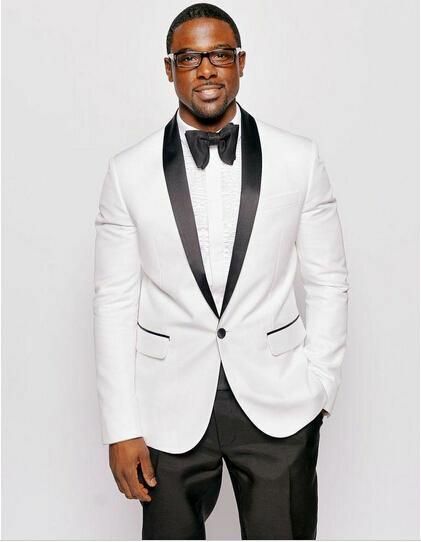 Accessories: A manuel tying (no clip-ons) bow tie is the superior option for classic black tie. 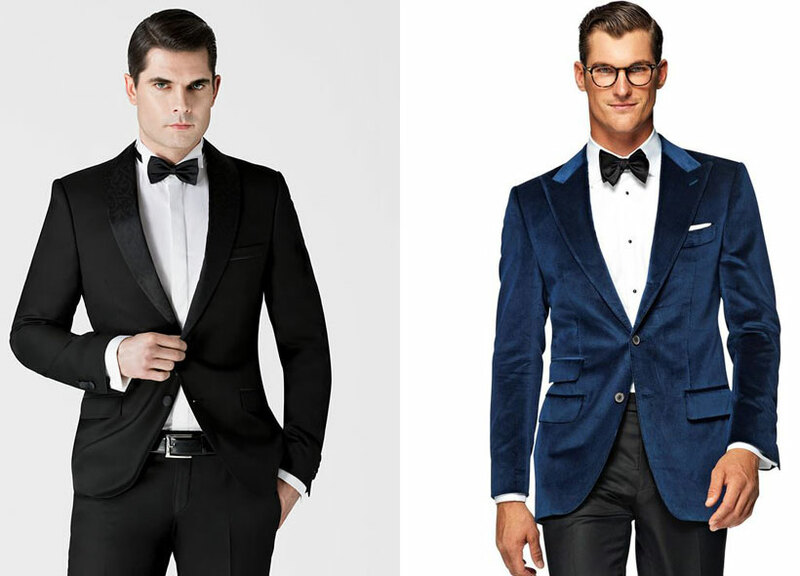 Again, purists match the satin, velvet or silk material of the bow to the jacket lapel. When wearing a waistcoat or cummerbund, make sure the pleats are facing up. Finish off the look with quality cufflinks and, if you want to stand out, a pocket square, lapel pin or silk scarf, the latter a nice winter touch. The semi-formal dress code is the more popular request on wedding invitations nowadays. And is your safest bet if a code isn’t specified at all. It’s more relaxed than black tie, but is far from casual. 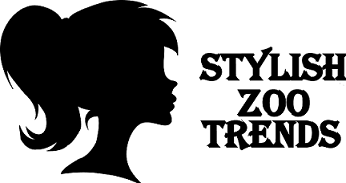 But be warned: styling must not look like you’re off to the office or a court hearing. It’s a mistake too often made by men who want sophistication but come off as stuffy and polite. And unoriginal. 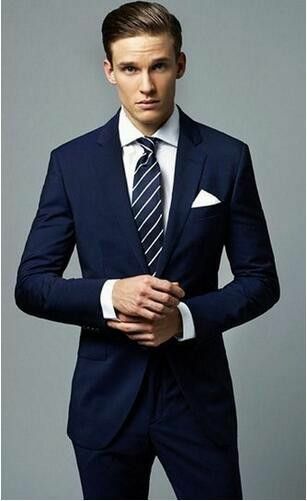 Suits: A dark suit is the foundation of a semi-formal look. Two or three piece, it’s your choice. Black, navy and charcoal grey are all acceptable options, especially in winter. 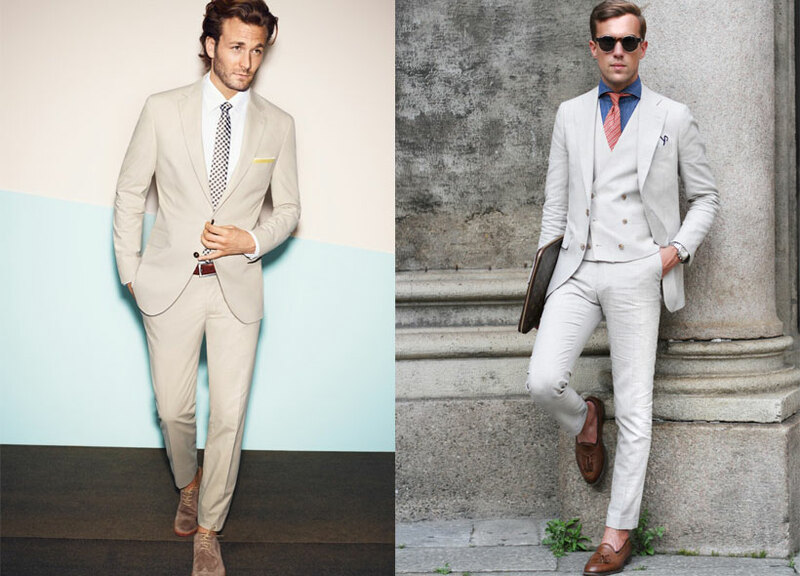 During the day and summer, a lighter suit can be worn, as long as you’re not foregoing your socks and tie. 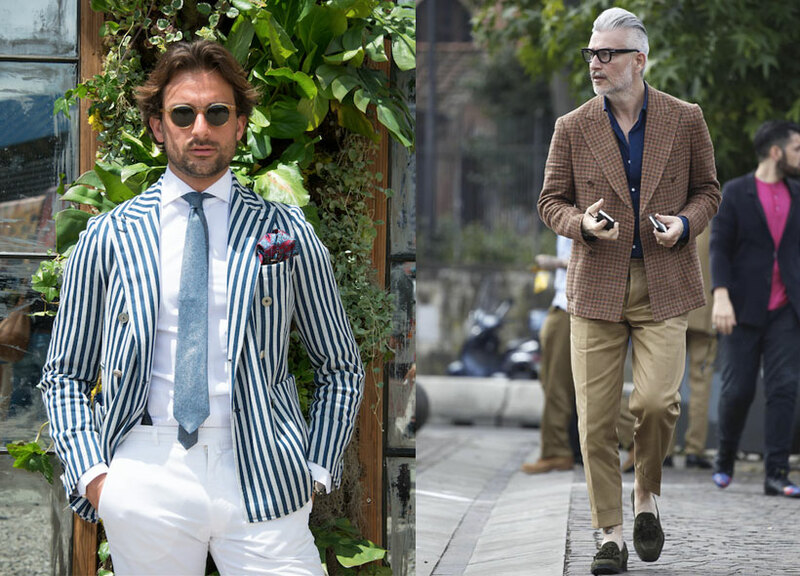 Shirts: Stick with a solid neutral colour (white, black, grey, blue), a mild pattern (pinstripe or lean windowpane check), or a demure jacquard (a fabric weaved into a pattern motif). Make sure the shirt is crisp, clean and pressed – the collar sharp, never floppy. 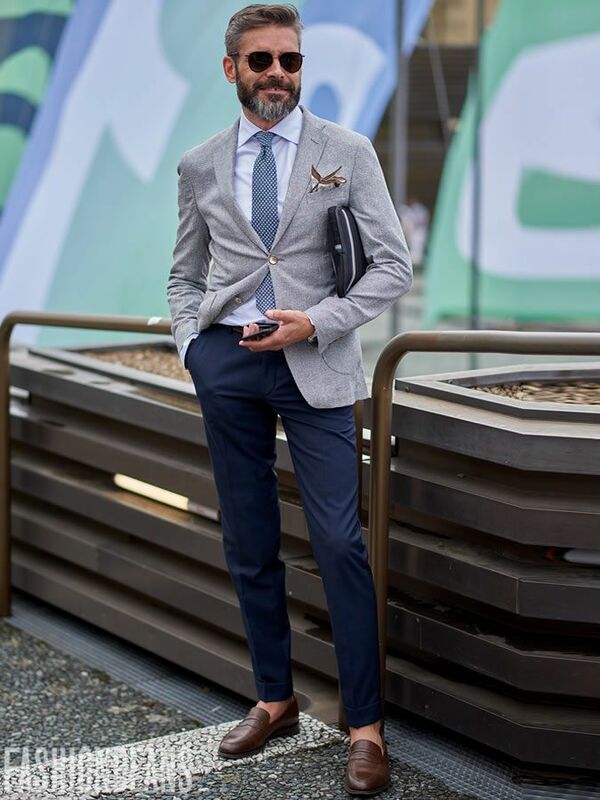 Shoes: Oxfords are the go-to choice for a semi-formal ensemble, and monk strap shoes can be worn for something a little bolder, sticking to shades of brown or black. Finally, make sure your shoes are clean, well-polished and looking their best. Nestled between smart casual and semi-formal is cocktail attire. For weddings, tailor it to the season and time of day. 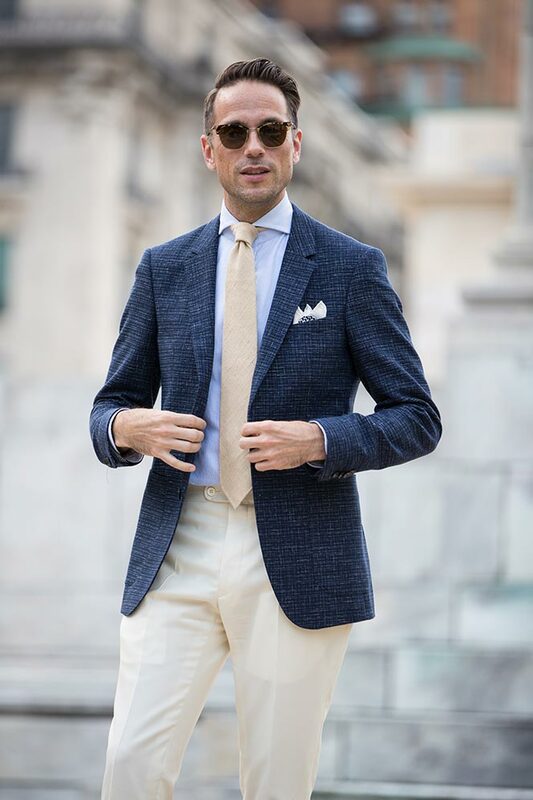 Suits in heavier wools and tweed materials are more appropriate for winter, while suits in cotton, linen and even seersucker can be worn in summer. For night-time weddings, stick to dark colours. For daytime, venture into light colours such as beige, smoke grey and even white or cream. 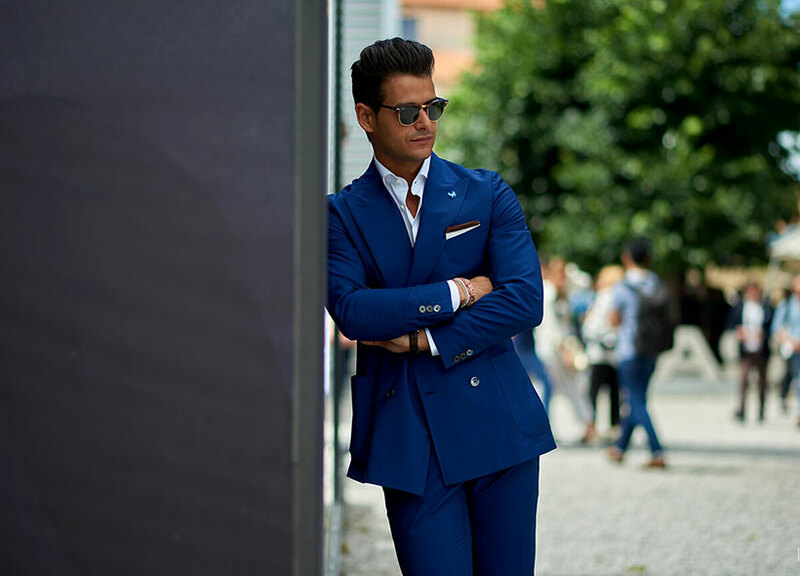 Suits: Stick to the two-piece in a peak or notch lapel and keep the cut sharp and slim. Colour-wise, navy and charcoal are solid, but a little too easy. For an alternative, look to forest green, burgundy and earthen hues like camel, brown and the more saturated blues. Or an tasteful suit pattern: plaid, windowpane or pinstripe are all very acceptable cocktail prints. it, stick to a block coloured shirt or demure print, but only if the suit is patterned. Look for moments to be original, but never to the level of look-at-me. Shoes: Again, dark leather shoes in winter or tan in summer. Consider smart loafers if it’s day time too, void of contrast stitching and embellishments. Accessories: A tie is still a must here. Colour or pattern is allowed, but keep it classy. 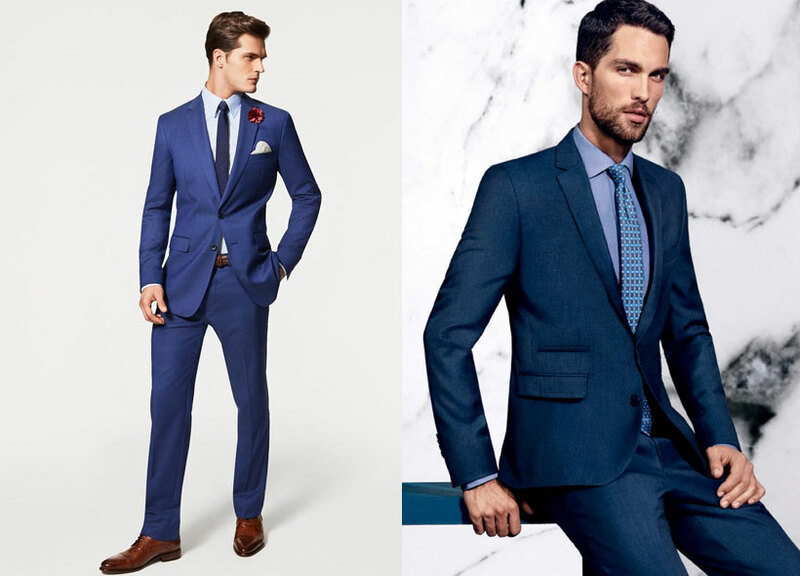 Don’t go big with the suit, shirt and tie – pick one place for boldness and stick with it. Accessorise with cufflinks, a watch or a pocket square. 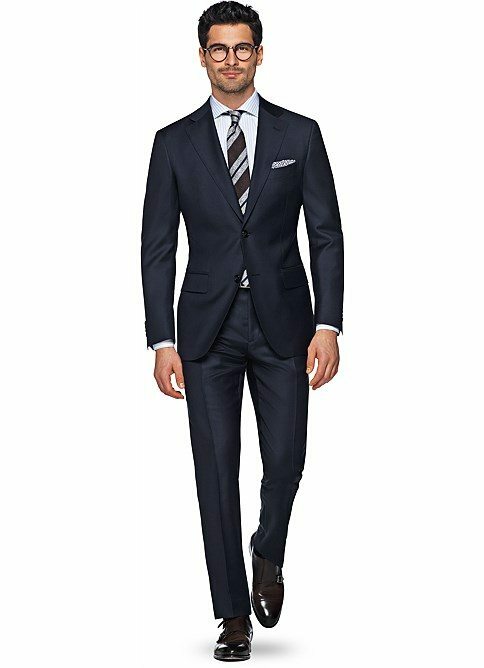 Suits: A casual suit will be made from fabric with a more open weave and more texture. Think cotton and linen.The most casual tailoring embodies the unstructured jacket, with no shoulder pads and no lining and a draped silhouette. Mix and match the jacket and trousers for an even more casual twist. Shirts: Embrace the opportunity to go a little louder. Chambray blue and solid pastel hues are perfect summer shades, both light and breathable being cotton. Dark colours are still applicable, but chuck in a paisley or plaid, especially if you’re wanting to dress-up – stylishly, a cream or beige suit. Shoes: Finally, you can put your shoe collection to good use. At this point, most things will be acceptable as long as they still look sharp: oxfords, derbies, brogues, wingtips, monk straps, loafers That’s a no to sneakers. And sandals, unless it’s a beach wedding. Accessories: Wear a tie if you want a sophisticated lift to your summer suit. Otherwise, undo the top button or two (no more, Fabio) of your shirt. A summer wedding is when accessory experimentation peaks, pull out a statement pocket square, a bedazzling watch and even those stellar wireframe shades – just take them off for photos. 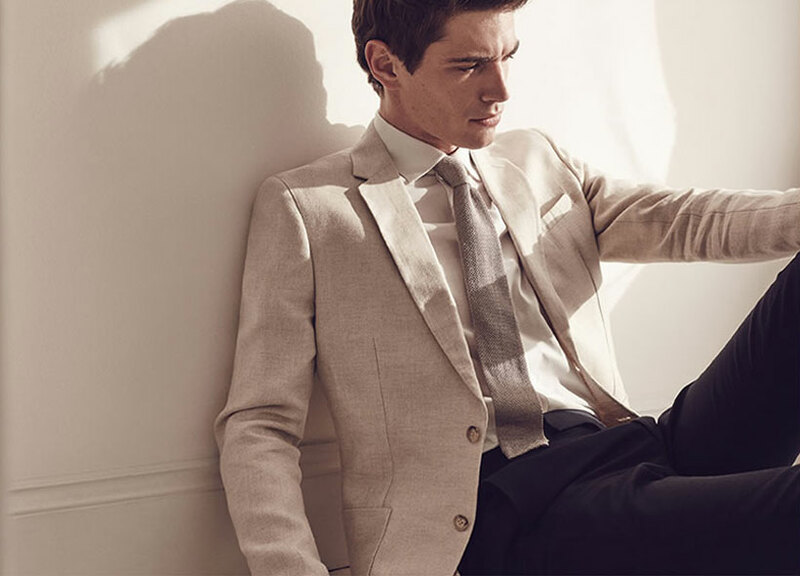 Smart casual takes on a more refined meaning at a wedding. 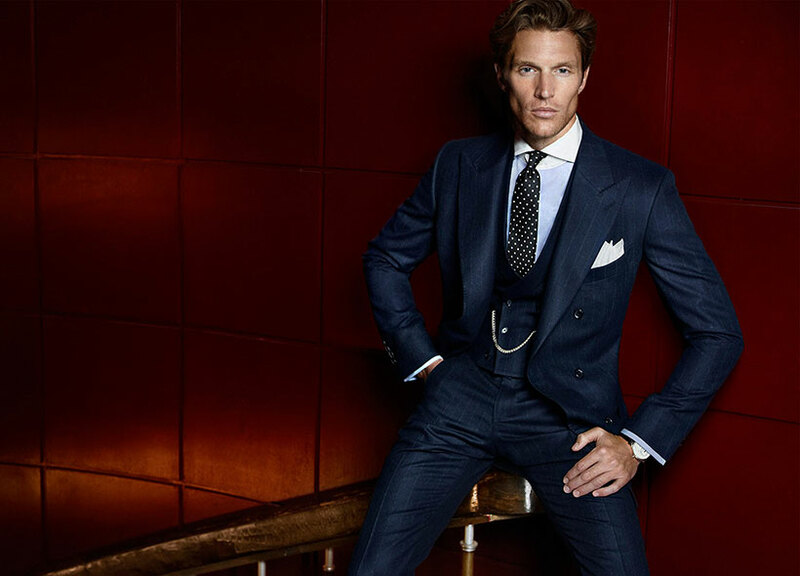 Sartorially, it does mean you can relax tailoring as much as possible while still looking thoughtfully put-together. Opt for something comfortable and stylish in a laid back sense. Suits: Time to break out the colours. Think Pitti Uomo, without the peacocks. 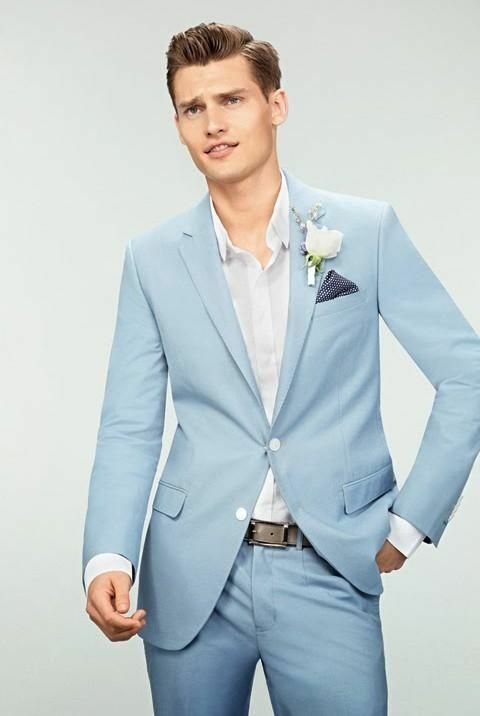 You can stick with the basics if you want, but a smart casual wedding is also a welcome opportunity for bold-coloured tailoring, as well as more noticeable patterns. Again, softly structured or unstructured is best. Separates can work at this level of informality too and should be the only time really saturated colours (beyond blue and green) and boisterous prints light up separates. For instance, a yellow blazer or lime green geometric print as a jacket, not a full, garish two-piece. Always pair the bold with the not so; cream, black or navy chinos a surefire win for smart casual. Avoid denim. Shirts: Get creative. A plain shirt will serve you well, but something a little more outlandish is a refreshing way to mix up standard wedding attire. If you do go the brazen route, keep your accessories minimal and tasteful to balance it out. Shoes: Your shoes should stay neutral, but there’s no need for them to be stuffy. Anything from a smart loafer and upward is a suitable choice as long as you’re comfortable. Feeling super playful? 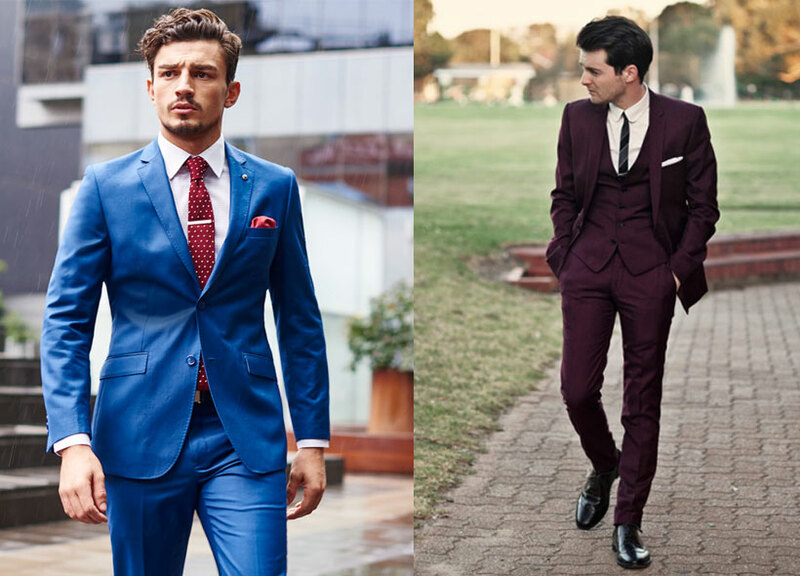 Go burgundy, navy, mustard or olive green for a touch of colour. Accessories: A sense of equilibrium must be maintained. Individuality is encouraged – so bust out the cool cufflinks, the on-point lapel pin and the snappy socks. Make sure a statement shade or pattern in one area is balanced out by restraint in another. And lose the tie if the pocket square makes an appearance. 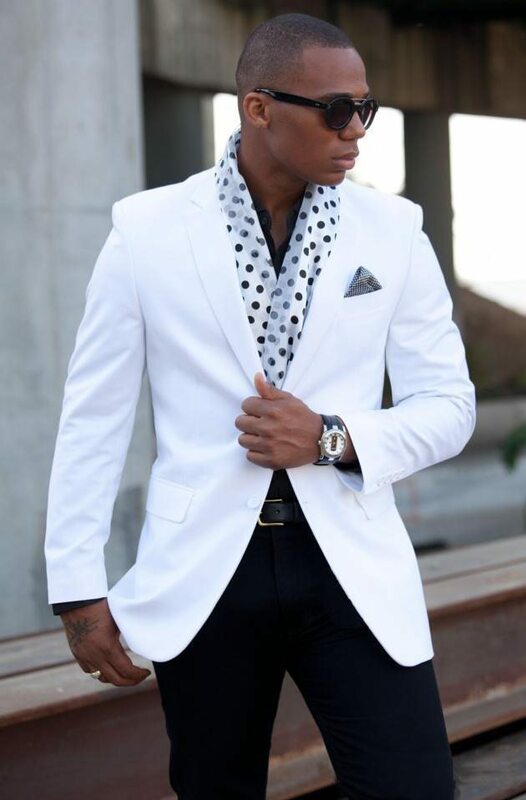 A neckerchief is a stylish replacement and you’ll certainly be an individual with this look.